In honour of the fact I got a PS4 two years ago with Final Fantasy XV and Kingdom Hearts 3 in mind, I put together this list of great trailers from this year. I'm always truly happy for the developers to take the time they need to make great games, however I'm also crossing my fingers that they will be released next year, because they all look really good so I want to play them. Enjoy and let me know your favourites of this years trailers in the comments! Although Final Fantasy XV was not released this year, many trailers were released for both the gameplay and story portions of the game. I'm very excited for the open looking world, epic looking battles and that end-of-day cooking activity. You can pre-order Final Fantasy XV at Play-Asia now! The non-release of Kingdom Hearts 3 was no surprise, as Square Enix has been very ambiguous about any release date for Kingdom Hearts 3. But this year's E3 trailer was worth getting hyped for, thanks to the smooth, beautiful and fun looking as the trailer. If the game is even close to how fun the trailer looks, I'm completely on board for whenever it's finally released. You can pre-order Kingdom Hearts III at Play-Asia.com now! Kicking Kingdom Hearts 3 out of being the first Kingdom Hearts game on PS4, 2.8 was announced for 2016. With Kingdom Hearts 3 being dateless, I'm assuming this will probably be the first Kingdom Hearts game we see in 2016. Kingdom Hearts HD 2.8 will feature two previous Kingdom Hearts games, Dream Drop Distance and Back Cover x. The game will also feature Kingdom Hearts 0.2: Birth by Sleep - A Fragmentary Passage, a new part of Kingdom Heart's story told by the character Aqua and set right after Dream Drop Distance. Since I haven't played Dream Drop Distance, I'm very excited to finally play the game and look forward to it hitting PS4 next year. You can pre-order Kingdom Hearts 2.8 Final Chapter Prologue at Play-Asia.com now! 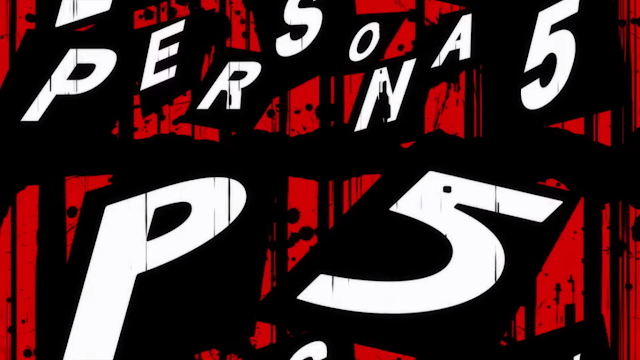 As an avid Persona fan, I was a little bummed (although not surprised) that Persona 5 got delayed until next year. However, they released this really cool trailer with the news of the delay, so I didn't know whether or not to be mad. With the trailer looking this good, the delay is probably for the best and I can't wait to play what I'm sure will be another top quality Persona game. You can pre-order Persona 5 (PS3, PS4) from Play-Asia.com! After years of people hoping, the news of Gravity Rush (or Daze, depending where you are) 2 was very exciting and a little unexpected. The world in the trailer looks stunning and it looks like Raven may have a more prominent role along side the game's star Kat as well judging by all of the advertising so far. Although it is a visual novel and not a JRPG, Danganronpa's story is deep enough to satisfy many fans of Japanese games, including myself, so I'm chucking it in here as 'related gaming'. The most recent trailer for Danganronpa 3 generously reveals three characters, but is still keeping a lot of the details of the story hidden. Interestingly though, this will be the first Danganronpa game involving students outside of Hope's Peak Academy, so I'm very interested to see how they will tie in with the story so far. In another unexpected PSX announcement, Ni No Kuni II was revealed and it looks incredibly beautiful (as to be expected from Level 5). I'd like to also thank this trailer for reminding me I need to play the first one....hopefully I'll do this sometime next year. You can pre-order Ni No Kuni II: Reverent Kingdom now at Play-Asia.com! After years and years of people begging for a remake, Square Enix granted many wishes with the announcement of Final Fantasy VII Remake coming to PS4. Although there was a little controversy recently with the announcement that it will be released in episodes, the plus side is that we'll only get to see the game sooner if they release it in small portions. If waiting for the Remake is difficult, they also just ported the original game to PS4. You can pre-order Final Fantasy VII Remake from Play-Asia.com! Which game are you most excited for? Did I miss any important ones? When do you think these games will be released?